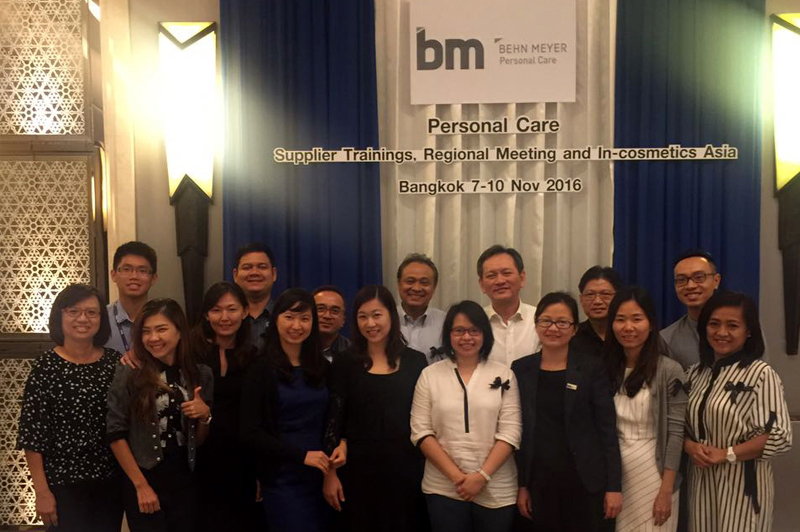 Behn Meyer’s Regional Personal Care meeting was held at Grand Centre Point Hotel Terminal 21 on 7th November 2016 in Bangkok, Thailand. The meeting was attended by the sales staff of Behn Meyer group in SEA and proceedings commenced with Mr. Stephen from Jarchem Industries providing information about the new products launch as well as training for all product lines. The following session was presented by Dr. Carsten from Cosphatec, who shared information concerning the current market situation, strategy and the new products launch. In the afternoon our teams shared performance overviews and exchanged their success stories, market information and experiences in promoting our regional suppliers together with Managing Director, Mr. Prasonk Aramwittaya. Behn Meyer Group had its own booth J80 in Halls 102-104 at In-Cosmetics Asia Exhibition BITEC, Bangkok on November 8th -10th, 2016. 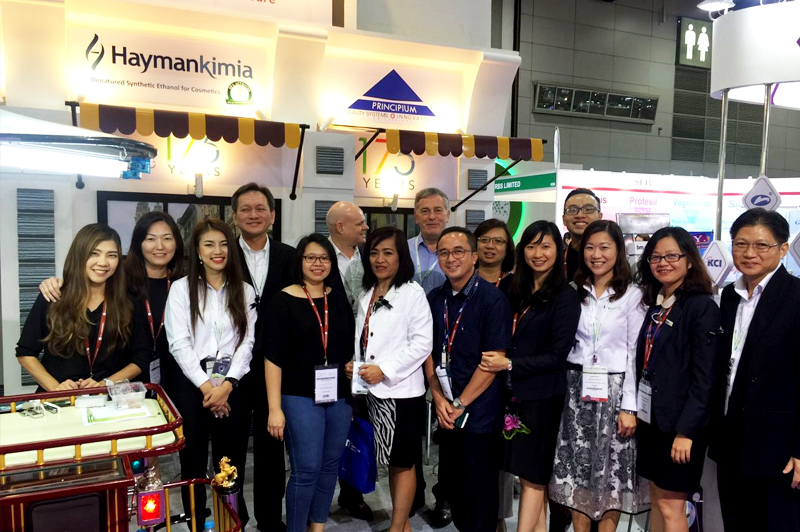 We had great support from our suppliers Haymankimia, Jarchem Industries, Principium S.A. and Holista Colltech who joined our booth this year, together with colleagues from all eight countries in which we operate in Southeast Asia (Indonesia, Malaysia, Myanmar, Philippines, Singapore, Taiwan, Thailand and Vietnam). The booth was attended by new and existing customers with both local and international visitors looking for new cosmetic raw materials and the latest market trends for their new project developments. We offered mango with sticky rice to our customers and suppliers who visited us at our booth. The exhibition introduced the latest innovations to 8,782 visitors and an 18% increase in the number of international attendees from 77 countries, including Malaysia, South Korea, China, the Philippine, India, Indonesia and Japan. The event was focused on doing business and creating new partners and networks. The new “Spotlight on” feature focused on the hottest cosmetic trends such as anti-pollution and halal, while the essential, centrally-located Innovation Zone showcased 41 brand new ingredients. At Grand Centre Point Hotel Terminal 21 in Bangkok, Thailand. Behn Meyer’s SEA staff and suppliers. 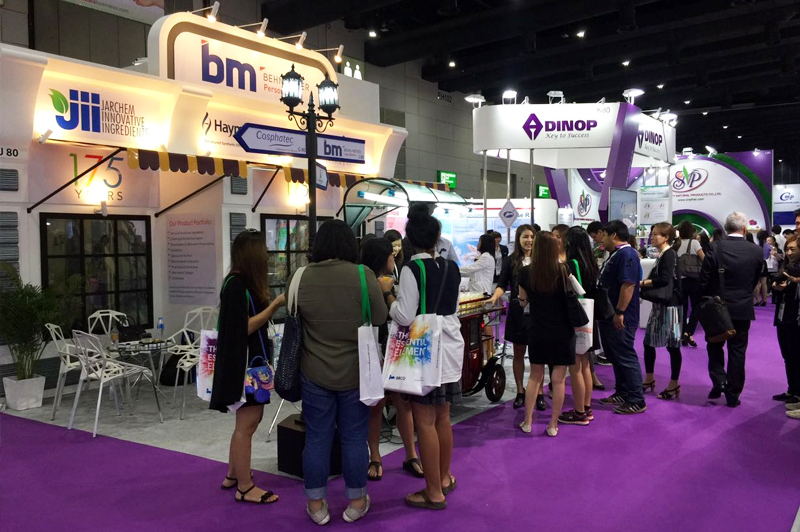 Behn Meyer booth at In-Cosmetics Asia Exhibition in BITEC, Bangkok.